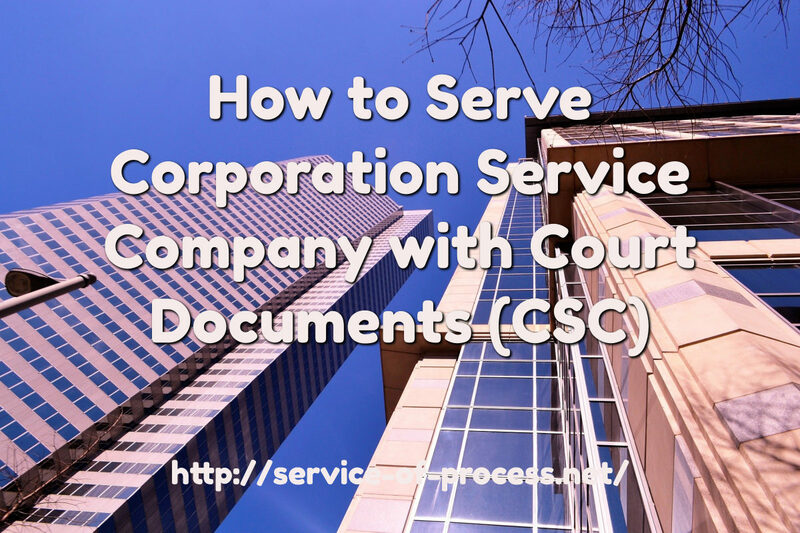 What is (CSC Global) Corporation Service Company? CSC offers a solution for every phase of the business life cycle. They help companies form corporations and LLCs. They make it easy for them to meet their legal obligations in any of the thousands of U.S. jurisdictions. CSC receives and delivers important legal paperwork on our clients' behalf and assist them with their many compliance demands. They help them source and maintain the right licenses and permits, regardless of where they operate or what industry they're in. They provide the kind of services that allow companies to expand their businesses into other states and other countries. They give corporate law departments the tools they need to organize, file and safeguard their case-critical documents. They help companies oversee and maintain the good standing of unlimited numbers of entities. Their tools improve the outcome of deals like mergers and acquisitions. Financial institutions depend on CSC for the risk-management capabilities They provide. They partner with some of the world's largest banks and commercial lenders to enhance due diligence and minimize risk through timely, accurate financial searches and filings. They offer solutions for title and real property management, special purpose entities and independent directors. They protect many of the world's most valuable brands. They register and manage thousands of domain names, patrol the Internet for incidences of brand abuse, and fight online brand infringement wherever they find it. They help companies screen and clear trademarks in a complex, global market. What Does Corporation Service Company (CSC Global) do? Corporation Service Company, Inc. provides business, legal, and financial services for corporations, law firms, financial institutions, small businesses, private equity firms, and other markets worldwide. It offers representation services, including registered agency, service of process, corporate filings, independent director services, litigation management, international transaction services, global subsidiary management, and certificates of good standing. The company also provides corporate compliance solutions, such as comprehensive entity management, officer and director maintenance and reporting, minute book and organization chart management, compliance monitoring and alerts, litigation and matter management, annual report preparation and filing, business license and permit management, transaction, communication and collaboration tools, and data and document management solutions. In addition, it offers digital brand protection services, such as domain name management, trademark research, social media username, secure socket layer digital certificates, domain name system, and phishing protection; domain monitoring services, including Internet, social media, trademark, mobile application, and marketplace monitoring; and enforcement and recovery services. Further, the company provides uniform commercial code (UCC) searches, UCC filings, and online UCC portfolio management services for commercial banks, factoring/accounts receivable organizations, capital finance companies, large leasing enterprises, and legal firms specializing in secured transactions, as well as matter management solutions for the safe storage, retrieval, and management documents and data. Furthermore, it provides document recording services for submitters of real estate documents, as well as government recording offices. Corporation Service Company, Inc. was founded in 1899 and is based in Wilmington, Delaware with additional offices in the United States, Canada, Europe, and the Asia-Pacific. Corporation Service Company Washington D.C.
CSC Services of Nevada, Inc.
Key Executives For Corporation Service Company, Inc.
How To Serve Legal Documents to Corporation Service Company? Process Server Lance Casey from 5-Star Legal Support Services, Inc. states, "We Serve Legal Documents to Corporation Service Company (CSC Global) Nationwide. We serve complaint and summons, deposition subpoenas, civil subpoena duces tecum, notice to consumer, small claims SC-100 plaintiffs claim and order to go to small claims court." Our base fee for service of process is $125 & up. Complete the form below. Email your documents along with instructions to serviceofprocess916@gmail.com. Fax your documents along with instructions to (916) 244-2636. We serve documents to Corporation Service Company. Please describe the service of process details: Number of entities to serve, address to serve, number of pages, ect. We serve Corporation Service Company in the US. You will receive an online invoice for payment. Service will begin after payment is received. Upload files to serve. You can also email document to me at serviceofprocess916@gmail.com, or fax to (916) 244-2636. There is a small list of California Corporations that have used Corporation Service Company which is doing business in California as CSC Lawyers- Lawyers Incorporating Service or CSC Lawyers as their agent for service of process.